Im sure you are tired of hollow temples that are designed for tourists. Here we get OFF the tourist trail and see more traditional, hidden secrets of Kansai. I am naturally a curious and inquisitive person. 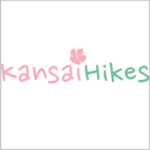 I have covered Kansai for the best hikes. HERE I have ONE OF THE BEST OF THEM. 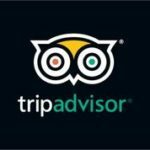 We will take an easy to medium walk up the mountain side stopping every so often to see the amazing 180 degree views, lush vegetation/plant life and quaint buildings/ houses along the way. When you reach the top……. We`ll give you a tour of this historically special temple. It was built in 1678 on the site of earlier sacred site built by monks in 655. Yes thats right 655!!!! There are caves behind the buildings on a rock face which are also historically significant. The buildings look ancient as do many of the figures that line the walkways up the mountain side. WALK LEVEL: Medium, 3 out of 5 : Suitable for people of all ages who are in basic fitness condition. Less than 6km round trip of distance total. WHERE: We will all meet at Kintetsu Ikoma Station in Nara (Only 20mins from Osaka centre). Please Meet just outside the “CENTRAL” gates in Ikoma Station. HOW TO GET THERE: Go to Ikoma station by “RAPID EXPRESS” train from Namba KINTETSU. Takes 20mins from Namba. Wait at outside CENTRAL exit gates at Ikoma. Shoes (NO HEELS) for walking or hiking / rucksack, food if you want, a bottle of water, Bring a jumper/jacket just in case it get cold. ❂ Usually up to the age of 35 years old but we always get at least a few over 50y.o. ❂Our other attendees are super genki and friendly people. Our staff always make an effort to introduce the quieter ones to others so its all good. Just relax and let it flow. ❂ Come and practise the language your learning. Everyones here to help:) Just have a go and you will probably surprise yourself!! Lets have an awesome time in the outdoors together!!! !